Maya Angelou RememberedHappy Mother’s Day! 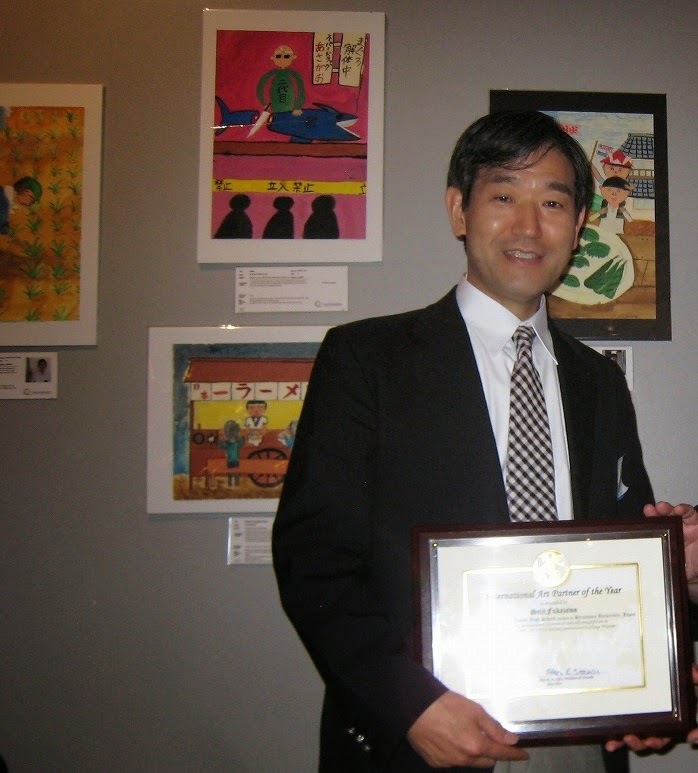 Professor Seiji Fukazawa from Mihara Junior High School attached to Hiroshima University in Hiroshima, Japan honored us with a visit on Thursday, May 15th to attend the opening reception of our 2014 International Children’s Art Exhibit at the Maritime Aquarium at Norwalk. He is seen standing in front of his student’s art work selected by the ArtLink jury. The opening reception was a big success with over 200 guests and several VIP’s including,Creative Connections board members and State Senator Bob Duff (D- Norwalk), State Representative Gail Lavielle (R-Norwalk, Wilton) and Brett Maddux, Special Assistant to Senator Chris Murphy along with Chris Loynd, Marketing Director of the Maritime Aquarium. The International Children’s Art Exhibit celebrates art created by students in Creative Connections’ ArtLink programs throughout the academic year. Exhibit sponsors include Fairfield County Bank and Peralta Design with support from the Department of Economic and Community Development (DECD), Connecticut Office of the Arts (COA). The exhibit which is free to the public, (located in the lobby of the IMAX Theater) will remain on display until September 1, 2014. We hope you will come by and enjoy it!